Are you looking for a specific restaurant or a recommendation for where to grab a bite to eat? Have a look at our insider’s guide to restaurants on the island of Krk, prepared by our own staff here at Aurea! The town of Krk is located in the south of the island of Krk and is its cultural and tourist centre. 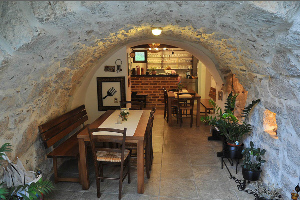 Galija is a tavern/pizzeria located within the walls of the old town of Krk. It offers a variety of meat and fish dishes as well as many types of pizza. The must-try specialties are homemade pasta in a scampi and asparagus sauce and chicken in gorgonzola, radicchio, spinach and walnut sauce. A family tavern ‘Nono’ has been opened since 1981. Next to the tavern there is an olive oil production facility with an area for ripening prosciutto and olive oil, while the centre of the restaurant features an olive press. The tavern offers a unique environment in which guests can enjoy the island's specialties such as tasty homemade pasta dishes. If you decide to visit Nono, for a dessert we recommend the pancakes stuffed with Krk sheep's milk curd with fig cake Smokvenjak. 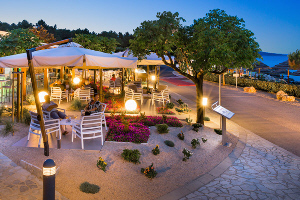 Bistro Politin is a restaurant located right by the pool area within Camping Resort Krk. It offers range of Kvarner specialties such as Krk lamb, homemade pasta šurlice as well as a variety of dishes baked under the lid. The restaurant is open throughout the year and takes part in numerous events such as Days of Šurlice in October, Cod Fish Days in December as well as celebrations and special offers for Valentine’s Day, Mother's Day and other occasions. Some of the restaurant's specialities include ‘Marina’ steak filled with Adriatic scampi on a truffle and Krk prosciutto cream with polenta and Swiss chard medallions and baked cheese on salsa and arugula with an olive oil dressing. 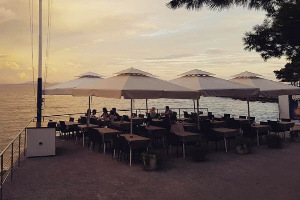 The Karaka Restaurant is located in the vicinity of the Ježevac campsite, directly on the beach and offers a variety of fish and meat dishes. The must-try specialties include the roman dumpling with Adriatic prawns and dried tomatoes, pork loin in Dijon mustard sauce and dried figs in mascarpone and cinnamon cream with puff pastry, ideal for a sweet finish to your meal. Karaka also has a Beach bar located in a pine forest, which offers its guests a variety of non-alcoholic and alcoholic cocktails, ice creams and pizza slices. The village of Milohnići is located in a quiet setting on the west side of the island of Krk, between villages of Brzac and Linardici. 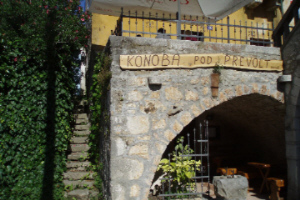 This tavern, located in the small village of Milohnići on the island of Krk, is the holder of the "Kvarner Food" quality mark. House specialties include homemade pasta ‘makaruni’ with dried octopus brodetto and other local cuisine. The Pud Brest Tavern in Milohnići on the island of Krk takes you back in time and bestows a true island ambience with its old stone house and fireplace, a terrace with wooden tables and chairs and an area where indigenous dishes from the island of Krk are prepared under the bell (a baking lid completely covered by charcoal). The must-try specialties include pancakes with curd that make an excellent combination for dessert and Octopus under the bell that has to be ordered in advance. Punat is located east of the town of Krk and is one of the most important nautical centres in Croatia. 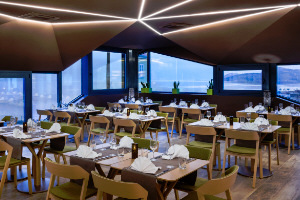 The Kanajt Restaurant is located within the Kanajt hotel in Punat on the island of Krk. It has a spacious terrace overlooking the sea, and in the restaurant’s park there is an old olive oil mill carved in stone. Kanajt offers young Krk lamb, handmade pasta and dishes from the pot like Puntarska buzara. Guests can also enjoy an extensive wine list to accompany their meal. Kanajt is the holder of the "Kvarner Food" quality mark. 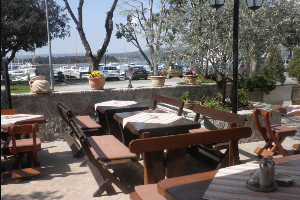 The Marina Restaurant is part of the Punat marina and is another holder of the "Kvarner Food" quality mark. The restaurant offers local cheese and prosciutto, monkfish in white wine, first class white fish, crabs and shellfish. Next to the restaurant there is a children's playground. The Ribice Tavern is another island tavern with a long family tradition. Its menu is very simple yet delicious. For an appetizer one can have cheese, prosciutto and marinated small fish, and for the main course baked and fried small fish with simple side dishes and salad with olives and Krk cheese. Ribice tavern is the right place to enjoy an authentic island experience and relax with a glass of wine from a local vineyard. During the summer months this tavern hosts acapella evenings which further adds to the seaside atmosphere. Ribice is the holder of the "Kvarner Food" quality mark. The Buka Restaurant is located at the entrance of Punat Bay and has a large terrace overlooking the sea. The restaurant often has live music in the evenings and is pet friendly. It offers mainly Mediterranean dishes such as pasta, risotto, pizza, homemade pasta šurlice, cold appetizers as well as meat and fish dishes. The Sidro Tavern is located on the coast of the small village of Punat. 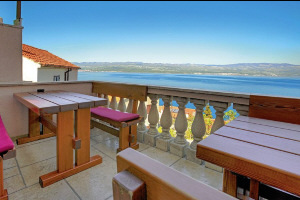 Its terrace enjoys a beautiful view of Punat's marina and the island of Košljun a the monastery in the middle of the cove. It offers Mediterranean and traditional island fish and meat dishes. 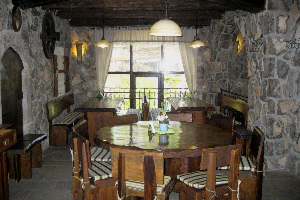 As Janos is a tavern located on the ground floor of a family house in the centre of Punat. On a large terrace near the sea, guests can enjoy meat and fish specialties of the island of Krk. Malinska is a famous tourist resort on the island of Krk, situated in a wooded bay that offers a picturesque view of Rijeka and Opatija. The Intrada Tavern is located in Malinska on the island of Krk. There you can enjoy the specialties of Krk cuisine prepared in a creative way. Intrada boasts its Presnac, a traditional Krk delicacy, which in 2016 won the title of 'Knežev presnac 2016' (‘Duke’s presnac’). Presnac is a delicacy from the island of Krk, made from young sheep's milk cheese, sugar, flour, egg yolks, water and a little grated lemon zest. The ratio of ingredients varies not only from town to town on the island, but also from kitchen to kitchen. 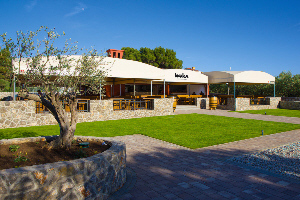 Mulino is a restaurant located within the Malin Hotel in Malinska which holds the "Kvarner Food" quality mark. Depending on the season, the restaurant offers Calamari stew with olives, an indigenous Krk dish. Dubašljančica cake is the perfect ending to a culinary journey in Mulino - the cake is rich in flavor and is made with vanilla, cappuccino and chocolate. Throughout the year Mulino hosts culinary events, such as Lamb Days in spring, Days of Šurlice in June and Cod Fish Days in December. 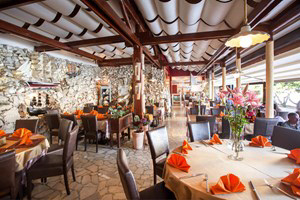 The Noštromo Restaurant is situated in the very centre of Malinska, just 100 meters from the town promenade. 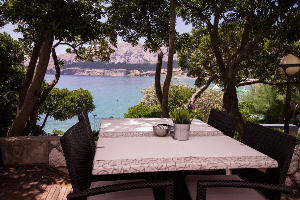 In the restaurant’s garden, shaded by tall palm trees, there is a terrace where guests can enjoy meat and fish specialties and traditional delicacies from the island of Krk. 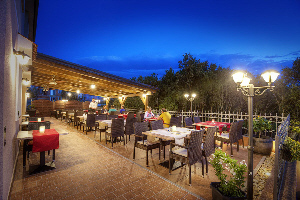 Pizzeria Mia is the holder of the "Kvarner Food" quality mark and the most popular pizzeria in Malinska. It is located alongside the seafront promenade and offers the combined flavours of continental and coastal Croatia. 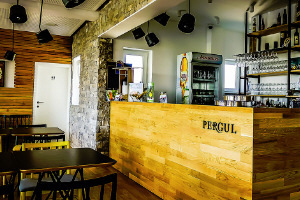 Pergul is a spaghetteria located at the bus station, close to the centre of Malinska. It offers Italian specialties infused with the spirit of local cuisine. The restaurant's terrace offers a peaceful and enjoyable ambience where guests can enjoy specialties such whole-grain ravioli filled with spinach and ricotta in basil sauce. 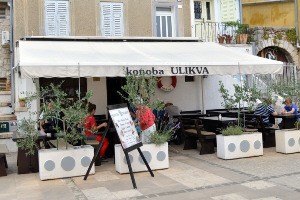 Primorska Koliba is a restaurant located by the sea in Malinska on the island of Krk. The restaurant has one of the longest traditions on the island and offers various seafood dishes and fine wines. 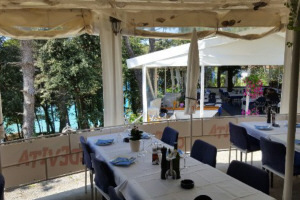 It is difficult to single out the best amongst its rich variety of specialties, but one of the most famous specialties of the Kvarner cuisine that can be found on the menu of this restaurant are fresh squid brodetto with polenta and mollusc patties with broad beans and Swiss chard. 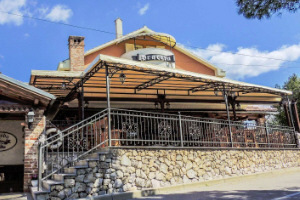 The Bracera Tavern in Malinska prepares original Krk specialties according to traditional recipes as well as homemade pasta, desserts and fresh homemade bread. The tavern is decorated in a classic island style and is a part of a family tradition for 15 years. Its most famous specialties are fish dishes of all kinds, from first class white fish, tuna and seafood. 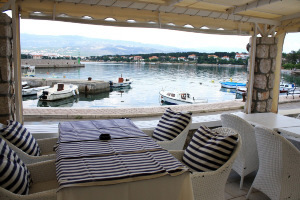 The Porat Tavern is located in Porat near Malinska, on the coast. It is a part of a long family tradition of hospitality and is one of the most recognizable gastronomic spots on the island of Krk. 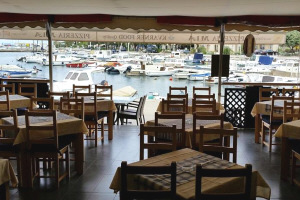 Gastro brand considers this tavern one of the Top destinations on the island. Vrbnik is situated on a cliff above the sea on the eastern side of the island of Krk and is one of Croatia's wine-growing centres. 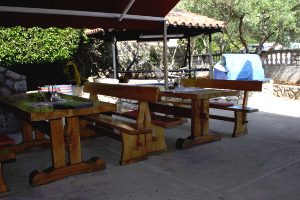 The Nada Restaurant is located in Vrbnik and is one of the most famous restaurants on the island of Krk. It has received several awards such as the Maison de Qualité of the Ordre de Saint Fortunat, the "Kvarner Food" quality mark and it is included in the Top 100 restaurants in Croatia in the Lonely Planet guide. 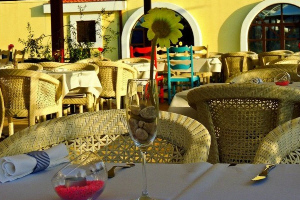 The restaurant is located in the old town of Vrbnik and has a truly magical ambience. 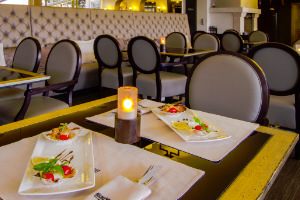 Menu includes specialties such as monkfish in žlahtina wine sauce, scampi risotto and seafood salad. There is a tavern in the basement of the restaurant that offers Krk cheese, prosciutto and salted fish. 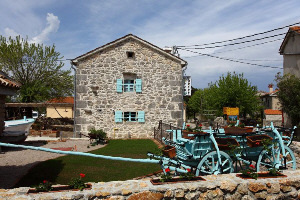 The Luce Tavern is located at the entrance of the small town of Vrbnik. It offers a variety of local specialties such as Krk lamb, homemade pasta šurlice and Adriatic squids. Next to the tavern there is a wine bar and luxury accommodation for rental. Some of the house specialties are surlice with salsa, octopus and black olives, homemade gnocchi with monkfish in žlahtina wine sauce, presnec and panna cotta with truffle honey. The Vinotel Gospoja Restaurant is located at the entrance of the old town centre of Vrbnik on the island of Krk. The menu is oriented towards Mediterranean cuisine, mostly fish specialties. Our recommendation is the Vrbnik lamb under a baking lid and Homemade pasta šurlice.The Žlahtina Tavern is a place where guests can enjoy local specialties and wines. 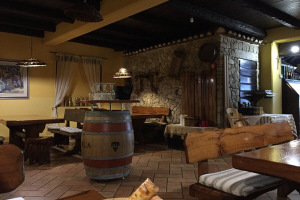 The restaurant includes a pizzeria ‘Gospoja’ which also doubles as a wine-tasting room where you can enjoy žlahtina wine from all producers of the wine, paired with prosciutto, local sheep's milk cheese, olive oil and bread under a baking lid. Omišalj is located on top of a cliff above the sea and is the first town on the island that will welcome you after crossing the Krk Bridge. Ulikva is a tavern in the centre of Omišalj, near the church tower. The tavern is part of a family tradition that offers a Mediterranean ambience of a small town. Ulikva offers traditional dishes prepared with local ingredients. Aside from authentic Krk specialties, guests can enjoy a broad selection of fine wine produced in the tavern’s cellar. Njivice is a tourist resort located halfway between Omišalj and Malinska. 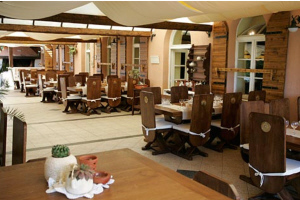 The Rivica Restaurant is one of the leading Kvarner restaurants with a 75-year long tradition. 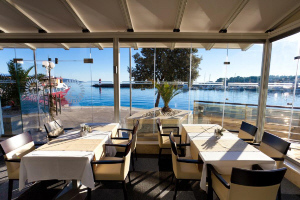 It is the holder of the prestigious awards with the Maison de Qualite Saint Fortunat and, Kvarner Gourmet and is one of the Top 100 restaurants in Croatia. The menu includes various specialties, particularly fish such as sea bass fillet in a fish stock, clams and seashells buzara (broth) and many others. Rivica is open year round and is host to numerous events such as Days of Young Krk Lamb in March and April, Asparagus Days in April and May, Squid Days from October to December and Cod Fish Days in December. The restaurant also carries the title "Knight of Cod Fish". Klimno is a coastal town located in Soline Bay on the eastern coast of the island of Krk. 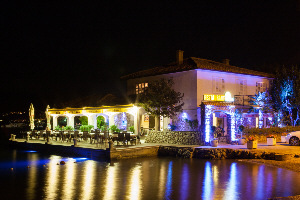 The Žal Restaurant is located on the waterfront in Klimno. The restaurant's menu is based on seafood and guests can enjoy local specialties like fresh white and blue fish, crustaceans and molluscs. 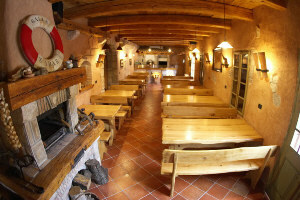 Also available is a meat menu and dishes from the famous Krk homemade pasta – šurlice and makaruni. The must-try specialties include cuttlefish brodetto (broth) with homemade pasta makaruni, monkfish in žlahtina wine sauce and scampi and asparagus risotto. For dessert, we recommend the island of Krk called "Presnac" together with a glass of local sparkling wine. Žal is the holder of the "Kvarner Food" quality mark. Baška is situated in the southwest of the island and is the most-visited destination on the island besides the town of Krk. Cicibela is a restaurant next to the beach in Baška on the island of Krk. This restaurant with a twenty-year tradition offers a variety of gastronomic specialties mostly based on seafood. Cicibela is the holder of the TripAdvisor Certificate of Excellence for 2014. Forza is a restaurant within the Forza hotel. It is located in the centre of Baška, at the start of the hiking trail, not far from the main beach. Forza offers Mediterranean special-ities such as beef carpaccio, sea bream fillet in žlahtina wine sauce and pork medallions with prosciutto in sage sauce. Stara Baška is a small, two-kilometre long and narrow area with numerous beautiful beaches and coves. Nadia is a restaurant located in Stara Baška. 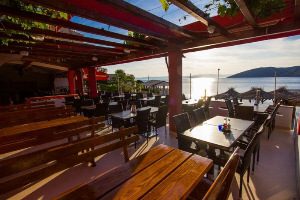 The restaurant is only 50 meters from the sea and provides its guests with a breath-taking view. Nadia offers mainly fish specialties but also meat dishes and pasta. Dobrinj is a small, peaceful town on a hill located 3 kilometres from the sea in the northeast part of the island of Krk. 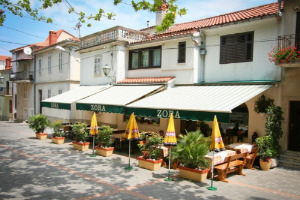 The Zora Tavern is located in the heart of Dobrinj. It serves authentic dishes from the island of Krk such as homemade pasta šurlice with goulash, makaruni with scampi and presnac as the perfect dessert. Šilo is a small fishing village on the northeast coast of the island of Krk. 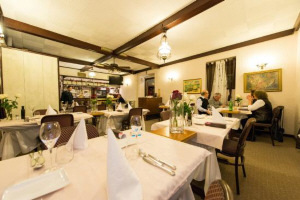 The Portić Tavern in the centre of Šilo offers local specialties and fresh fish. Portić is the holder of the "Kvarner Food" quality mark.